First Vice President of the European Bank for Reconstruction and Development (EBRD) Jurgen Rigterink believes that Ukraine is an important area of investment for the EBRD and a powerful platform for the implementation of major projects. "I've been EBRD first vice president for just nine weeks, and the fact that I am currently on a visit to Ukraine speaks about the importance of your country in our project portfolio. For us, Ukraine is not only an investment area, but also an important platform for cooperation in a number of projects that we are implementing jointly with other international partners," Rigterink said at a meeting with Ukrainian Prime Minister Volodymyr Groysman in Kyiv on Thursday. Groysman, in turn, noted that cooperation between Ukraine and the EBRD has the potential for growth. "The bank is one of the largest investors in the Ukrainian economy, and now we are talking about strengthening cooperation and increasing its effectiveness," he said. 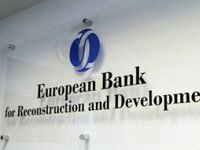 Rigterink also recalled that the EBRD is now processing a five-year work plan in Ukraine, which includes, among other things, increased funding and in-depth cooperation in specific areas - primarily the work of government banks and the development of the energy sector. According to Groysman, the Ukrainian government is interested in further cooperation with the EBRD on modernization of the gas transit system, as well as in raising funds to increase natural gas production and develop green energy. "We are now at the point where the economy will grow and investments will increase. I feel it and I see it. This is the scenario I'm programmed to. The situation as a whole is getting stabilized, and this is a very good signal. Even despite the fact that we are entering the electoral period, the government is ready to ensure a forward movement," he said.